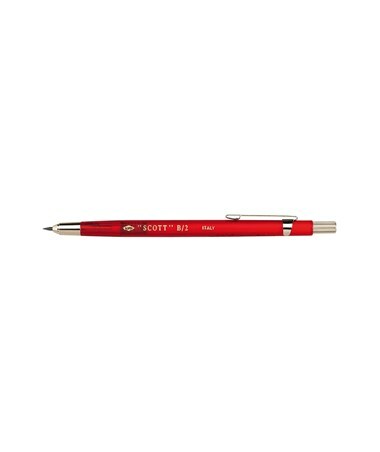 The Alvin Scott B/2 Lead Holder is an economical and lightweight lead holder that features a durable translucent plastic barrel. It is equipped with a spring-loaded lead release for convenient use and instant lead advances. With a four-way vise-grip jaw, it can hold two-millimeter leads firmly and securely to ensure stable and consistent writing or drawing. It is accessible and easy to carry with its pocket clip. The Alvin Scott B/2 Lead Holder is packed in a blister card. Loaded with a lead, it is readily usable for all drawing needs. It is sold individually or in a pack of 24. The 24-pack comes with a 6"W x 5¼"L x 10¼"H peg hook counter display that is made of acrylic. 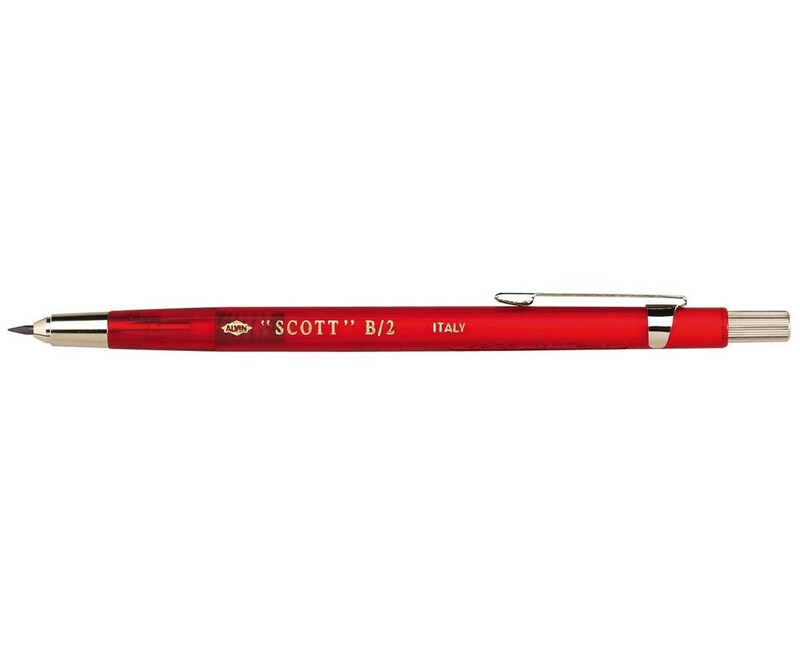 The Alvin Scott B/2 Lead Holder comes in two different packages to suit various needs. Please select your preference from the drop-down menu above. The Pack of 24 Alvin Scott B/2 Lead Holder also includes a 6"W x 5¼"L x 10¼"H Generic Acrylic Peg Hook Counter Display.